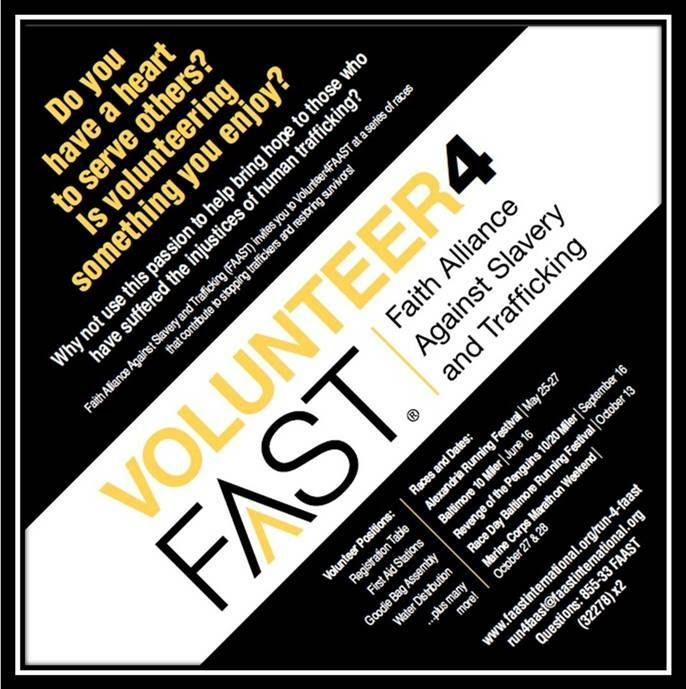 The Faith Alliance Against Slavery and Trafficking (FAAST) is a Christian alliance working in collaboration to eradicate human trafficking and restore survivors. FAAST is in charge of recruiting volunteers for running events in Baltimore, including the upcoming Baltimore 10-miler. FAAST will receive a donation for every volunteer hour contributed to the race. 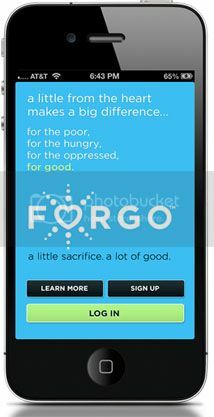 This volunteer opportunity is fun, quick and easy and will have a big impact! We are looking for three people who are willing to volunteer to stand at an aid station near beautiful Lake Montebello in Baltimore on Saturday, June 16 from 7AM – 10AM. If interested in volunteering, please contact Amy Hewat at ahewat@wr.org. On page 44 and 45, we read about the many different people with whom Jesus interacted: the tax collectors, shepherds, women, those of other races (ex: Luke 10:26), children, lepers, etc. Many of these people groups were in some way ostracized during Jesus’ time period, but Jesus subversively interacts with each of them. In what ways do you see the Church interacting in similar ways today with those who may feel excluded, stigmatized, or overlooked by society? How can we better incorporate this concept into our daily lives? In both chapters 3 and 4, Keller discusses the differences in perspectives of the church deacons and the poor woman from church who spent donated money on seemingly lavish things—i.e. bikes for her kids and meals at restaurants. We learn that the woman is feeling remorseful on the inside and expressed doing these things out of the desire to feel like she could give her kids something so normalized by many other families. Have you ever been in a situation in which parties had two different perspectives, but upon coming together, shared an understanding of the others perspective that contributed to growth and compassion? If you haven’t, consider an area in which you serve. Is it possible that those who are serving and those who are being served (who are in turn teaching us J) have varying perspectives? How can we better understand the perspective and the journey of someone seemingly different from us? Any additional thoughts on chapter 3? In this chapter, we read about the story of the Good Samaritan. Have you ever found yourself in the shoes of the person on the road to which someone showed you grace and kindness? If so, share with the group to the extent you feel comfortable. Any additional thoughts on chapter 4? An interesting article about the issue of trafficking in the US.